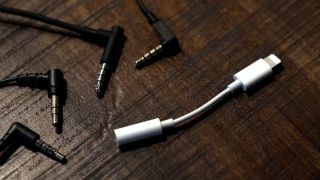 If you enjoy plugging headphones into your iPhone, cover your ears: the supplier of Apple’s headphone dongle says that the next three iPhones won’t have the stalwart converter in the box. The supplier is called Cirrus Logic and, according to a Barclays research note, they’ve confirmed that Apple will no longer include that $9 (about £6, AU$12) Lightning-to-3.5mm aux jack converter in every box, starting with the next generation of iPhones that Apple will unveil next month. Recently, we heard reports that Apple might cut the adapter out of the iPad Pro package, and analysts predicted that the iPhone might be a target back in early May, but now it appears that decision has already been made. Apple has provided an adapter with every new iPhone since the launch of the iPhone 7, all the way through to the most recent launch, the iPhone X. From the sounds of things, that could all come to a screeching halt in the near future. While a statement from the manufacturer seems pretty conclusive, nothing’s set in stone at this point – Apple hasn’t publicly confirmed the information. That said, on the other hand, the move would be on-brand for Apple, a company that has not tried to hide its disdain for the cable. CEO Tim Cook told audiences at Apple keynotes for years that Apple envisions a wireless future and the company has gone through great lengths to make that transition happen faster, thanks to the introduction of AirPower, a new wireless charging pad. Interestingly, Cirrus Logic hasn’t said that it will stop producing the dongle outright, leading some sites and analysts to believe that the converter will still be available to purchase separately. The dongle, which costs a whopping $9, isn’t a huge expense, but then, why cut it in the first place? It's the iWay or the highway, we guess.